Your number one site for the latest online poker news. 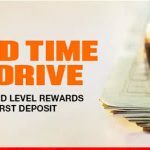 We constantly bring you the latest online poker news from both the live and online poker, including poker industry news like the latest news on Full Tilt Poker, poker tournament reports, news and interviews on poker players, announcements from online poker sites and the latest online poker promotions. 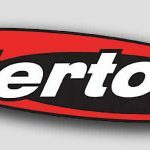 PokerNewsReport.com is dedicated to bring you the latest poker news stories and promotions. We are constantly updating our site with news articles, and underneath here you will find the latest articles of this month. To view all of our poker news, please visit our news section where you can enjoy thousands of articles. 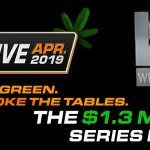 888Poker has released the schedule for May´s XL Inferno and announced a series of hot promotions to support the $1.4 million guaranteed tournament series. This July will see the thirtieth running of the European Poker Championships and you can win a package to the Main Event if you play at Intertops Poker. GGPoker´s Good Game Poker Series 2 will run from Sunday May 12th to Sunday May 26th and consist of 157 events guaranteed for a total of over $10 million. The upcoming Easter weekend will be highlighted by a special tournament series at US-friendly Intertops Poker that’s being called the Easter Experience. 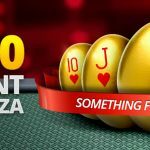 BetOnline is running an “eggcellent” series of Easter promotions including a reload bonus, a cash race, five freeroll tournaments, and a “Hi-Hand” event. If you are eligible to play at Ignition Poker, and you´ve not yet opened an account, there has rarely been a better time to sign-up and make your first deposit. 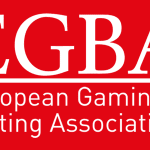 The EGBA has called on the Portuguese government to review how it taxes online gambling – claiming 75% of gamblers get their action in unregulated markets. What Else Can You Find At Poker News Report? While our main objective at Poker News Report is to bring you the latest online poker news, that is not all we offer. 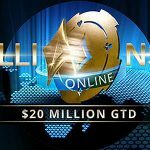 We work closely with the top online poker rooms to find out information about their upcoming promotions, interview poker professionals, and much more. Latest poker promotion information...and more! We hope you continue to enjoy our website. Feel free to contact us.